Love it! Such a great mix, the look is wonderful. Love the postcard! And congrats on your pubs in the Jan/Feb PaperCrafts! :) Hugs! Oh I love this idea and I love that Basic grey collection can't wait to see more!!!! What a fun idea and what a gorgeous card. I love when you give yourself a challenge, Lucy! This card is beautiful! I'll be enjoying this week with you, for sure! See ya again tomorrow! Very yummy! Love the beautiful warm pink and that gorgeous flower that takes center stage! Those Curio chip stickers are pretty special! Love the colors and the embellishments! Such a great challenge - great products and a beautiful creation for day 1 - looking forward to seeing whats to come! 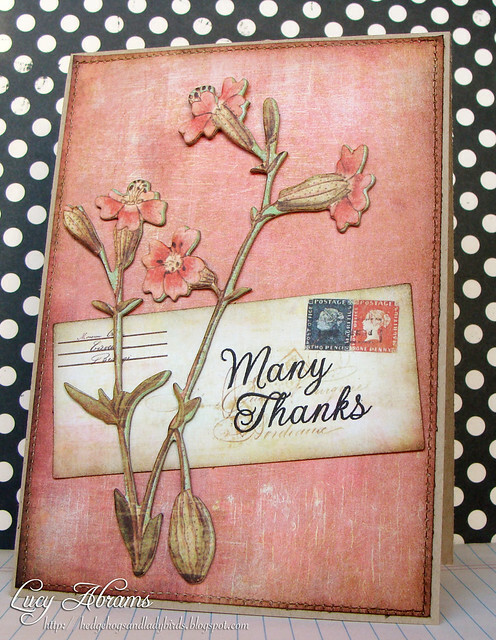 Love the somewhat antique look on this card and the brown and pink...always a wonderful combo! 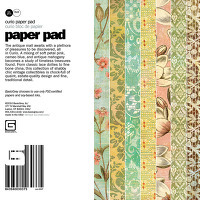 Soothing and beautiful...haven't seen the BG paper yet...must go shopping!! Just bought some new HA stamps yesterday! 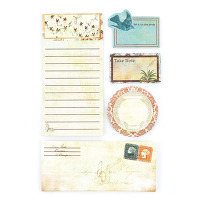 Very pretty combination of papers and stamps! I love the Curio collection too - I've only used it once and I don't know what to do w/the rest of it! 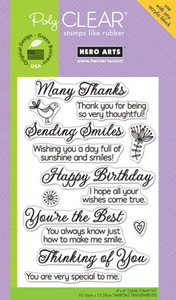 FABULOUS idea and gorgeous card! These two companies are my absolute favorites! Glad that you are giving yourself a "challenge" :) What fun, Lucy! What a great combo - 2 of my favourite Companies too! I just got the Curio 6x6 pad & it's adorable. Your card is beautiful - these papers really suit your elegant style, can't wait to see what else you create this week. wonderful Lucy. 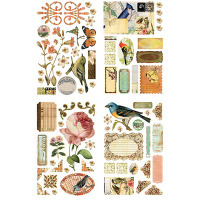 Nice to challenge yourself and to use such wonderful papers, die cuts and stamps. Looking forward to more creativity. Wonderful card ! love it :-) and thanks to show us this nice products. Gorgeous love the soft colors a very elegant card. simply beautiful! looking forward to the rest of the challenge! So inspiring Lucy, I love this card, such elegance! GREAT idea...might have to set myself a similar challenge! Loving all of your cards for this.